This is my 5th trip to Hong Kong and i had always enjoyed Hong Kong’s food. I was quite puzzled when people complained that there is no good food in Hong Kong and they ended up eating fast food for every meal. Some of my friends had encountered “bad” dining experience and spoilt their appetite as a result. There are not only good, but AWESOME food in Hong Kong, if you know where and what to eat, and what to expect. Before jumping right into my food posts, I thought it would be useful to share some “rules” for Hong Kong first-timer to understand the dining culture. 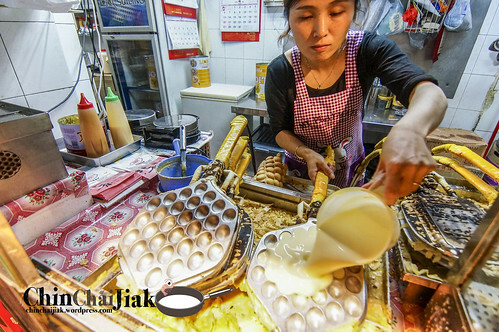 I am not so much talking about high class restaurants but more on their on-the-street cafes that is known as Cha Can Teng 茶餐厅. Set your expectation right, know what to expect and we are ready to go! 1. Instant noodle is Hongkonger’s everyday food. And so are macaroni, ham, sunny side up, sausage, milk tea, toast and more toasts. Simple dishes with simple ingredients are sold at almost every Hong Kong style cafe (Cha Can Teng 茶餐厅). Embrace them. Some taste good, some not so. 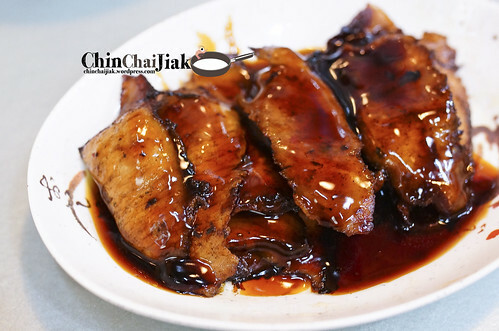 If you are looking for sophisticated dishes with high quality ingredient, Cha Can Teng is not for you. 2. Tea with less sugar? Teh, Teh-C, or Teh-C Kosong? DIY please. Tea and coffee are served unsweetened in most cafes. There is always a can of sugar on every table. Sweeten them to your own liking. They also don’t serve tea and coffee with condensed milk. Most of them are served in carnation milk, and in our term, Teh C and Kopi C.
3. Touch-and-go dining. Their definition of service is very different from Singapore. Their service is very much focus on speed and efficiency. Don’t be surprise if the staff roll their eyes if you take a very long time in deciding what to eat or when ordering your food. Chilling out at popular Cha Can Teng is impossible during peak period. “Touch and go” is the rule. In our definition, some actions may be considered as “rude”. Trust me. See past these episodes and you will enjoy Hong Kong very much. 4. Sharing of table is VERY common. Some of us may not be use to this idea but squeezing at mini-size table with total strangers is something that tourists in Hong Kong need to embrace. They may ask you “Dap Mm Dap Toy?” (搭不搭枱) which means “are you willing to share a table?”. Spacious dining space is a luxury in a Cha Can Teng due to the sky-high rental cost. 5. Don’t be discourage when the waiter ignores you. Raise your hand high and up in the air and wait. Sometimes they don’t see you, sometimes they see you and walk over, sometimes they see you and either they ignore you, or they give you “the face”. Don’t be discouraged, especially at very crowded cafe. Many are really really busy. Don’t even think of stomping them. Just wait for a little while and they will definitely attend to you. 6. Complimentary cup of tea? Not exactly. When luke-warm tea is served in plastic cup, they are not meant for consumption. You are suppose to soak your utensils in them to clean off any greases on them. In Dim Sum eatery, they will often serve a big bowl and hot tea/water. Clean the bowls, cups and utensils in the bowl with the hot tea. The rest of the tea is for consumption. 7. Need a receipt? Do you own calculation. There are no tax and service charge at most, if not all Cha Can Teng. When you ask for the bill, don’t be surprise to just see just “38, 16, 12” written on a white piece of paper with no indication of the ordered dish. It’s either you do you own calculation before asking for the bill or put full trust in the waiter. I always choose the later. Most of the time, payment is done at the counter near the entrance. 8. Some cafe has a minimum spending per head policy. Not all cafe adopt this policy but it is not rare to see one at a Cha Can Teng. Most of the time, there will be signages put up on the wall, or it’s stated on their menu. This is to prevent four people from sharing just one scrambled egg and taking up a table for four. The amount is rather reasonable and most of the time it can be achieved. There is no need to be pissed when you encounter one. If you think that you can’t meet the minimum spending, you may just stand up and leave. I’d categorised them to the nearest MTR stops in Hong Kong and all of the eateries are walking distance (in my definition) from MTR stations. The most challenging ones are at the Central (中環) and Sheung Wan (上環) Station where there are lots of uphill and uneven road. Do re-consider if you are travelling with elderlies or with baby pram. As usual, i will update this page after finishing my post on individual eatery so stay tune! Click on the restaurant name for review, menu, map and direction. 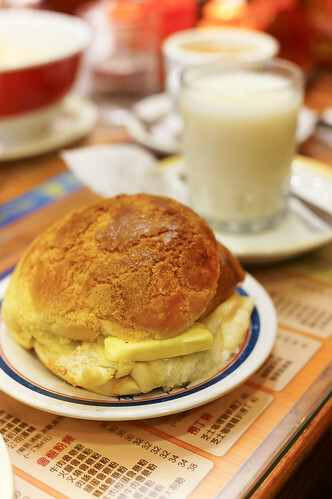 (1-1) Kam Wah Cafe (金華冰廳/金华冰厅) Kam Wah Cafe has the reputation of serving the best Fresh Butter Polo Bun in Hong Kong. During peak hours, their Polo Buns are fresh from the oven every ten minutes and served hot to your table. (1-2) Macau Tsui Yuen Cafe (澳門翠苑茶餐廳) Tsui Yuen is situated in a Hawker Centre behind Langham Place that is very little known among tourist. 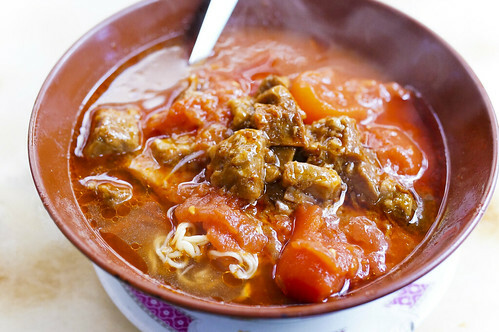 They specialist in Macau (Portuguese) Food and most famous for their Portuguese-style Curry served with Grilled Meat, Pork Chop Bun and Macau Iced Coffee. (2-1) Australia Dairy Company(澳洲牛奶公司) This cafe is rated number one in the whole of Hong Kong, even more popular than Michelin Starred Restaurants. 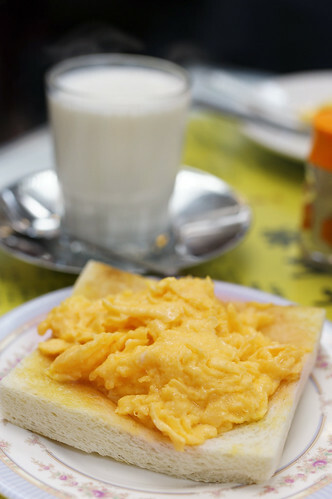 Australia Dairy Company is famous for it’s Scrambled Egg Toast and Steamed Egg Custard. Be prepared to queue during meal hours. 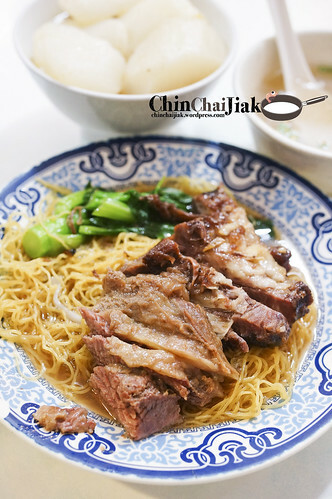 (3-1) Sun Kee Cheese Noodle (新記芝士麵茶餐廳) Sun Kee Cheese Noodle specialize in grilled pork cheek (猪颈肉) and cheese noodle. It’s a personal favorite of mine which i never fail to visit on every Hong Kong trip (five visits so far). After having grilled pork cheek from Bangkok, Hong Kong and Singapore, Sun Kee’s grilled pork cheek is still my best. 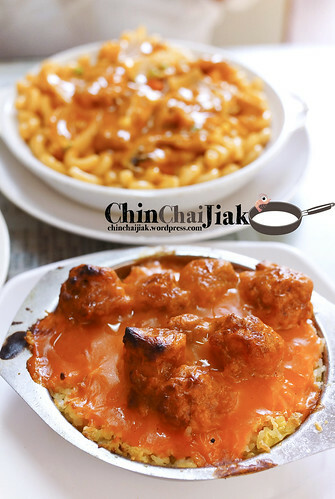 It’s best when it’s accompanied by the thick and rich cheese sauce of Sun Kee. (4-1) Sing Heung Yuen (胜香园/勝香園) One of the few remaining old school Dai Pai Dong （大排档）in Hong Kong that specialized in Tomato Noodle and Crispy Toast and this eatery is highly rated among the locals. Make a trip down to Sing Heung Yuen to experience the once radiant Dai Pai Dong culture in the current modern Hong Kong. (4-2) Kau Kee Beef Brisket Noodle (九记牛腩/九記牛腩) One of the best beef brisket noodle eateries in Hong Kong. It’s said to be Tony Leung’s (梁朝伟) and many Hong Kong celebrities’ favourite beef brisket boodle. Despite their less-than-passable service reputation, people still flock to this small eatery for it’s famous noodle. 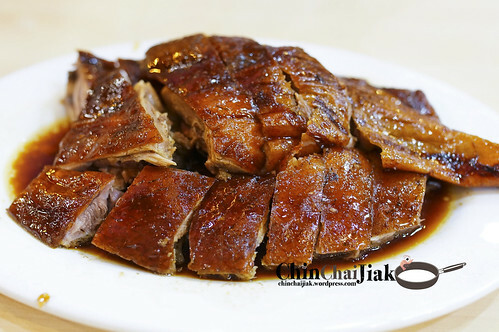 (5-1) Yat Lok Roast Goose (一樂食館) Yat Lok was recommended by Michelin Guidebook and obtained the Bibs Gourmands rating in the Year 2011 for it’s great value and quality roast goose. It is slightly cheaper than it’s famous counterpart Yung Kee (鏞記) and is frequently visited by their locals. What is a Hong Kong trip without a meal of good roast goose? (5-2) Yung Kee Restauant (鏞記酒家) Yung Kee, an up-class Chinese Restaurant in Central, has a reputation of selling the best roast goose in Hong Kong and is also well-known for their Century Egg. 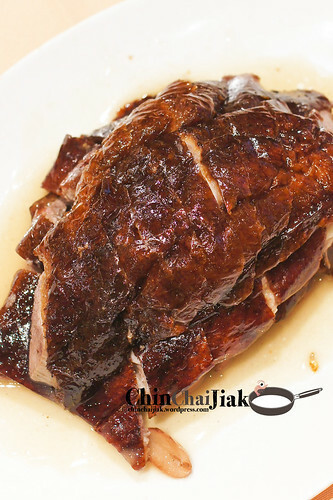 They were rated one star by Michelin in Year 2009, 2010 and 2011 for the quality of their Roast Goose. This should also be the only place in Hong Kong that sells vacuum-packed roast goose for you to bring back home. 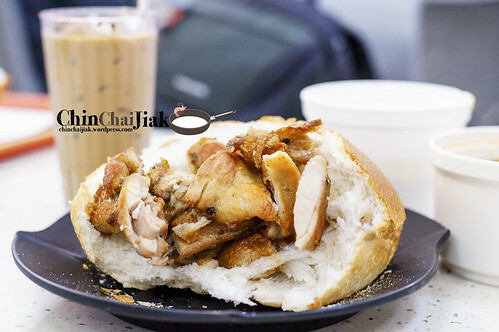 (5-3) Lan Fong Yuen (蘭芳園) It’s said that they are the founder of two popular beverage Yuan Yang (鸳鸯) and Stocking Milk Tea (丝袜奶茶) and is well famous for their Pork Chop Bun. It used to be a Dai Pai Dong and had started their operation back in 1952 and had became an iconic cafe at Hong Kong Central. (6-1) Capital Cafe (華星冰室) This cafe was opened by the ex-management of a Hong Kong record company, Capital Artists, that copies the operating model and menu of Australia Dairy Company. In fact, they mimic it really well to an almost comparable standard. 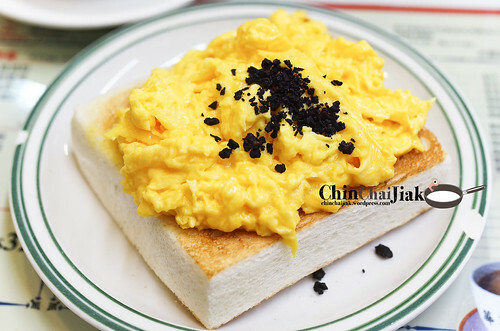 Their Black Truffle Scrambled Egg Toast is definitely a must-try in Hong Kong! 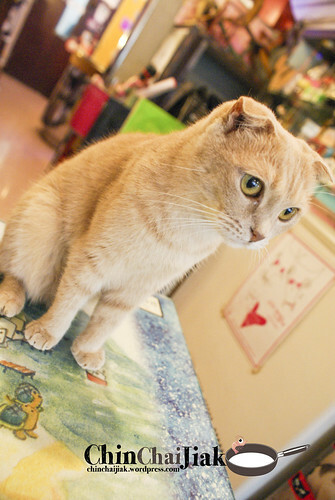 (7-1) Ah Meow Cat Cafe (阿貓地攤) A Cat Cafe situated at Causeway Bay that operates for a cause for finding a home for stray cats. This homely cafe do not charge a cover fee or minimum spending and is the perfect place for animal lovers and a great place to chill. 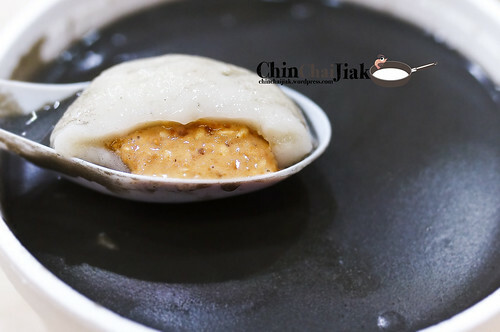 (8-1) Fook Yuen Glutinous Rice Ball (福元湯圓) One of my favourite new found dessert shop that sells really good glutinous rice ball. It’s very well-known for it’s bursting flavours of their sesame/peanut fillings. Fook Yuen closes at one in the morning thus making it a perfect supper place for dessert if you are staying in that area. 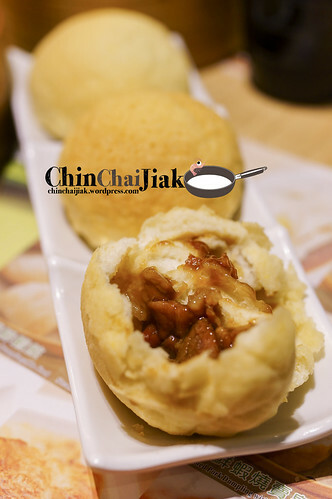 (8-2) Tim Ho Wan Dim Sum Specialist (添好運 / 添好运) Tim Ho Wan got it’s first Michelin Star within a year of opening and is famous for their Crispy Char Siew Polo Bun. It had stirred a storm when it opened it’s first branch in Singapore. Tim Ho Wan is headed by Chef Mak Kwai Pui who was formally from Lung King Heen (龍景軒), a high class restaurant of a five star hotel group. The price is much much more affordable comparing to Singapore. (9-1) 利強記北角雞蛋仔 Bei Jiao Ji Dan Zai (North Point Egglet) A stall that is very well-like by the locals that specialise in Egglet (Ji Dai Zai), the most popular street food in Hong Kong. It’s well loved for it’s crispy exterior and the over flowing egg fragrance. (10-1) Mido Cafe 美都餐室 A timeless cafe that serves the best Pork Rib Cheese Baked Rice for generations. Mido opened for business since year 1950 and is one of the oldest cafe in Hong Kong. Mido Cafe had retained their 1950s interior and the nostalgic design offers a glimpse of Hong Kong’s past when air conditioning is a luxury and food menus were hand-written. (11-1) Sister Wah Beef Brisket 華姐清湯腩 Apart from Kau Kee Beef Brisket Noodle, Sister Wah is another contender for Hong Kong best Beef Brisket Noodle. 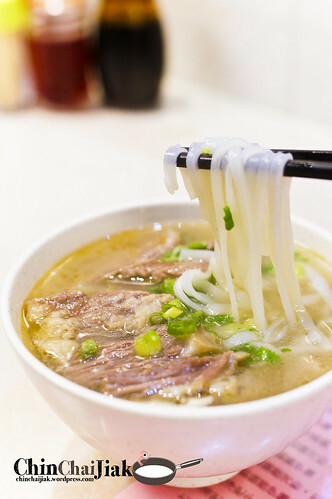 People like them for the thick chunky pieces of melty beef brisket and their rich and robust beef broth. Sister Wah is also one of the winners for “Best Restaurant Award 2014″ on Open Rice Hong Kong. I’m gonna be in Hong Kong next week. Will do my best to try all of these restaurants you’ve recommended. Thank you for posting this! Really really helpful!! Your recommendations is very useful and detailed. Thank you for the direction map too but a pity we could not find the cheesy pork at Tsim Sha Tsui. We found the Stanley Road Roast Goose. Yummy! Glad that you like my posts. =) the cheese noodle indeed is a little difficult to find. Hope u can find it during your next visit! Thanks alot for sharing these. Im going to hong kong by end of this oct. Your blog is really informative and detailed. Great blog. Keep it up. Thank you very much for the detail. It is really informative for me to plan my 1st trip in HK with my family! Some great suggestions here. 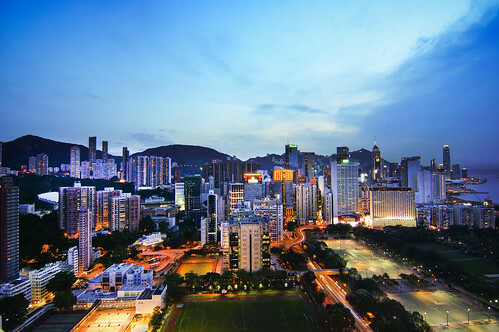 Next time you should expand it to include Sham Shui Po, with several good options there. Love this article. such good recommendations. Thank you so much! Keep up the good work! Your directional map is a god-send! I stay near TST mtr and my SG friend sent me a link to your post, and voila, ten minutes later I am enjoying the pork cheek cheese noodles at champagne court right now. Glad that you find my directions useful! Enjoy yourself and have a great trip! 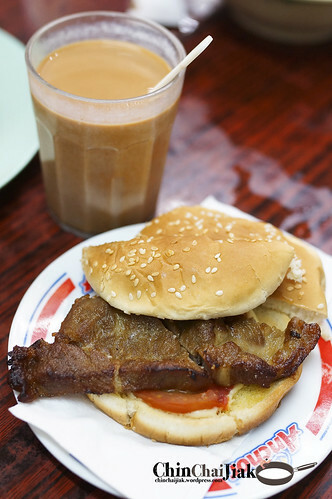 so happy to see you recommended Kam Wah Cafe’s polo bun. I love it so much. While i was travelled in HK, I had their polo bun every morning as breakfast. It tasted so nice without even butter. These dishes looks delicious. When i’ll go to Hong Kong then i will definitely be trying most of these. I visited some of the recommended shops and they were great! Without that, I will be crunching Macs fast food. Thank you! I’m going to HKK in late December. Will definitely try your recommended eating places. You did a really good job with details. Thanks for sharing. Thanks! Sharing useful information is the whole purpose of me writing this post. The maps were a great help as well. I’m glad you find them useful. Cheers!